GayCo is back in da ‘BURBS! 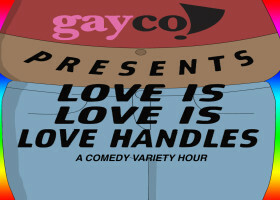 New Fall Comedy from GayCo! You may have seen one of the many sketch comedy shows that we've performed all over the world. Or perhaps you're one of our ex-boyfriends or girlfriends, Googling us to see what we're up to lately. Or maybe you live in Nebraska, and you just did a search on "gay" to remind yourself that you're not alone in the world. However you found us - welcome! 2019 Season – COMING SOON! ‘Tis the Seasonal Depression – A Holiday Spectacular!